An old bicycle adorns a planter on a street corner on Main Street in Echo. There has been a spate of recent articles and analysis about the challenges facing today’s rural America. Building up to the 2020 election cycle, East Coast pundits are busy attempting to get their heads wrapped around “fly over country” in order to craft political platforms and messaging that will gain traction in places like rural Nebraska, Kentucky, or Eastern Oregon. Our newspaper recently published a pair of such opinions — from two different New York Times columnists, Paul Krugman and David Brooks — side by side in an attempt to convey the emerging conventional wisdom. Krugman’s column, while sincere, seemingly smacks of an eastern elitist attempting to instruct his fellow urbanites on the foreign ways and customs of the people who inhabit the continent’s interior and why their culture is not thriving. The social ills and economic challenges facing rural America have been well documented: declining populations in rural counties, shrinking tax base to improve or maintain vital infrastructure, and where industries are on the wane (think West Virginia coal country) some parts of rural America can appear like forlorn ghost towns filled with higher than normal chemical dependency, bad diets, economic despair, and hopelessness. But such problems equally infect many of our largest inner cities as well. The point is there is both good and bad in rural America. It’s a vast, diverse area — from the Appalachians to beyond the Rocky Mountains and all points in between. It is not easily defined and quantified, nor should it be. The difficulty for many of those who inhabit large population centers on either coast, is that they may rarely experience the real rural America. Yes, our popular national parks like Yellowstone, Grand Canyon, and others are part of rural America. But these federally operated lands set aside for their majestic beauty can often more closely resemble glorified amusement parks during the height of summer vacation season. The real rural America is found off the interstate, typically along lonely two-lane highways in which few Americans travel in this day and age. Before air travel and the advent of the Interstate highway system, motorists once had a connection to these remote places. They traveled through them on roads like historic Route 66 and stopped in small towns along the way for a gasoline fill-up, a meal, or an overnight stay. Now, we merely fly over them or speed around them. We can miss towns like Grand Island, Nebraska, or John Day. They disappear from our collective view. Out of sight, out of mind. But they’re still out there and the people who inhabit these out-of-the-way places choose to live there for a strong sense of community or a feeling of independence, or in the case of America’s farmers and ranchers, an attachment to the land itself. These small rural towns often represent gathering spots in which rural families carve out a life and endure for generations. Think of the centennial farms and ranches right here in Eastern Oregon. For city dwellers on each coast, it may be difficult to truly understand and appreciate rural America and the people who live here without engaging in purposeful travel. Plenty of time and an open mind is required. Discovering the heartland should not be viewed as a safari in which the traveler sees some sights, briefly observes the natives and their customs, buys a few trinkets, then returns to their self-satisfied urban existence. Another recent column on this topic by economist Lawrence Summers, writing for the Financial Times, is instructive. He and his wife took a two-week drive from Chicago to Portland across the the Great Plains and Rocky Mountains on exclusively secondary highways. He sees rural America differently now, through a different lens. Summers’s experience shows that rural America can still be found and understood by urbanites if they will but seek it. We’re still here and we’re not going anywhere. 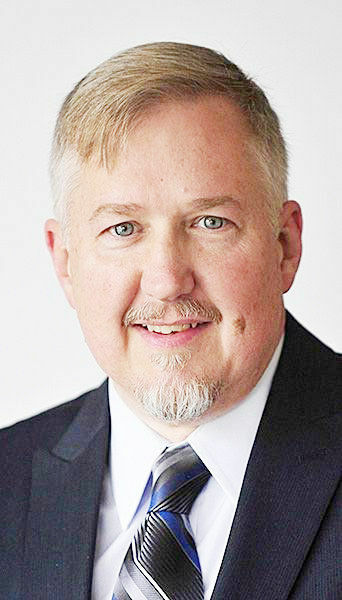 Chris Rush is the regional publisher for the East Oregonian, Hermiston Herald, Wallowa County Chieftain and Blue Mountain Eagle.